At some point in their lives, seventy per cent of Canadians experience foot-related problems in their feet, knees, hips or spine. If you have foot pain or a foot-related problem, CWG Footcare can offer you effective care and relief. CWG Footcare provides complete pedorthic services, including biomechanical assessment, orthopedic footwear modification, footwear prescription, diabetic and arthritic care, and specialty supports for dancers, skiers, cyclists, runners, and other fitness enthusiasts from weekend walker to elite athlete. 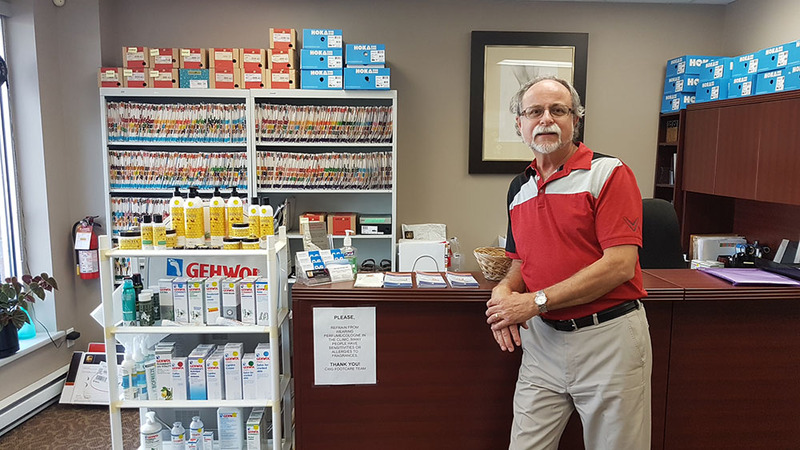 Chuck Weeks has propelled CWG Footcare to success by combining Therapeutic and Pedorthic skills together and integrating them with lifestyle factors that keep you on your feet.